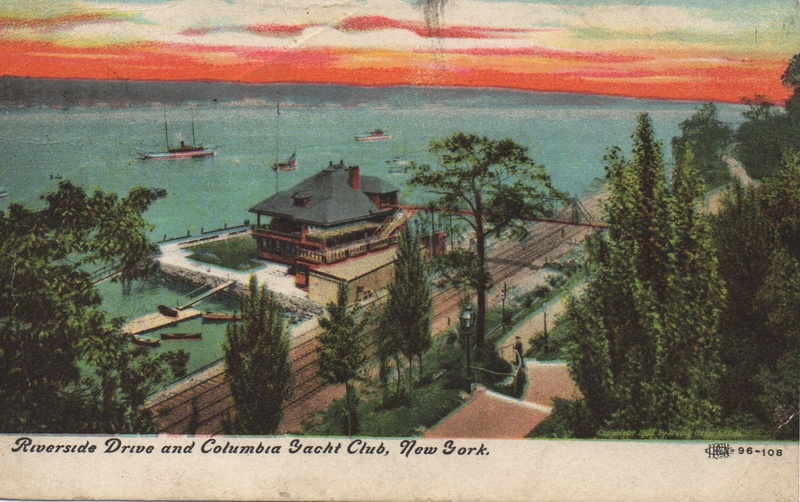 The clubhouse for the Columbia Yacht Club, on the Hudson River at 86th Street since the 1870s, looks like a breezy little summertime spot for boating and dining by the water in this penny postcard from about 1910. I especially like the old-timey bridge that goes over the railroad tracks to the clubhouse. They left after a legal battle, relocating first to Riverdale and then to a site off Long Island Sound.